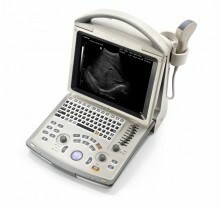 Endocavity Micro-Convex 6CV1s (5.0, 6.5,8.5MHz) Doppler ( 4.4/5.0Mhz) - FOV 140deg. Weight including batteries Mindray Z6 - 8.8 Kgs. Click the button below to add the Mindray Z6 Portable Colour Doppler Ultrasound to your wish list.